London’s largest un-hidden gem | London My London | One-stop base to start exploring the most exciting city in the world. IT IS OFTEN said that the nearer you are to something the less likely you are to visit it. A variation is that some things are so big you don’t notice them. 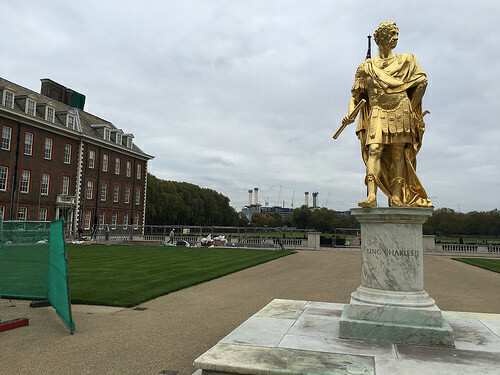 Such it was with the Royal Hospital – home of Chelsea pensioners – which I have passed on numerous occasions, admiring Wren’s facade of course, and presuming it must be a private space. Even as I was passing its narrow entrance the other day I thought the same. There was no notice saying it was open to visitors and when I asked a man by the door whether it was open to the public, I was answered with a beaming smile and told I could wander where I liked. 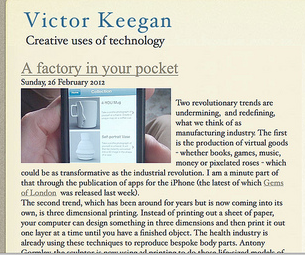 Which I did, apart from the spaces reserved for pensioners, and was instantly smitten. 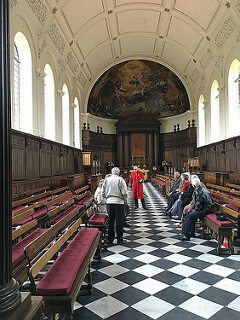 It was not just the numbing architecture of Wren’s marvellously understated chapel (below, right) and dining hall or the Grinling Gibbons sculpture of Charles 11 (above) who founded the hospital so as not to be outdone by Louis 1V’s Les Invalides in Paris. It was the sheer size of the place. It makes St James Park seem like a back garden, surely the biggest group of buildings and gardens in central London stretching as it does from Royal Hospital Road to the Embankment. 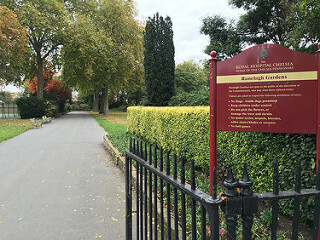 It was only after I was turning for home after walking the length and breadth of its nooks and crannies, including allotments and a putting green for residents, that I observed a discreet notice with the words “Ranelagh Gardens”. Could this be – yes it is – the site of the famous Ranelagh Pleasure Gardens (below, left), an upmarket version of the equally famous Vauxhall Gardens across the river. 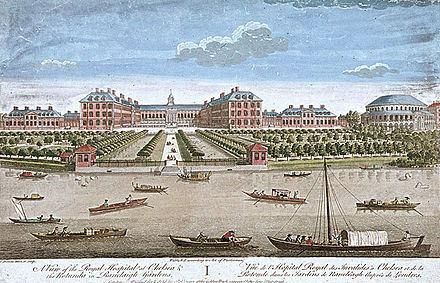 It was built in 1688 by the first Earl of Ranelagh (née Roger Jones, son of the Archbishop of Dublin) who was Treasurer of Chelsea Hospital from 1685 to 1702. In 1741 the house and grounds were bought by the proprietor of the Theatre Royal, Drury Lane and opened to the public complete with the Rotunda where in 1765 the nine-year-old Mozart performed. If ever there was a secret garden in London this is it, still roughly the size it was in its hey days when Horace Walpole observed: “It has totally beat Vauxhall” adding “You can’t set your foot without treading on a Prince or Duke of Cumberland”. Today the spirit of the pleasure gardens continues. Pensioners seem to have permanent smiles on their faces and are only too happy to lead a conducted tour or explain the history of the place – not least that it is called a hospital in the old sense of giving hospitality. Retirees from the army spend four days in the hospital before being accepted – including eating in Wren’s dining hall. If they are accepted their army pension is paid to the hospital to help finance their stay. Entrance is free but it would be a hard person who didn’t leave a donation to maintain this delightful place. After a pleasant coffee and scone in the attractive café (hidden down an alley) I walked home amazed at the scale and history of London’s most unhidden gem.